PJ Harvey’s ninth album was recorded in sessions that were open to the public at the museum Somerset House in London. Exhibit attendees could see Harvey creating the album with producers Flood and John Parish through a one-way mirror. The results continue in her tradition of excellence, producing songs that sound lush and layered, yet loose and free, with a strong social commentary running through on songs like “The Wheel” (“Now you see them, now you don’t,” she sings of disappeared and killed children around the world). Harvey wrote these 10 songs after she traveled to Kosovo, Afghanistan and Washington, D.C., for inspiration, and the kind of oppression and suffering she witnessed fuels her songwriting, as she sings of “the pain of 50 million years” on “The Orange Monkey” and in “The Community of Hope,” in which her criticism of rebuilt housing projects that displaced residents who could no longer afford it drew the ire of D.C. politicians. Though the composition of Hope Six is certainly interesting and proves Harvey continues to be a firebrand, ultimately the final product is what matters most to fans. Thankfully, the music is as powerful as ever. 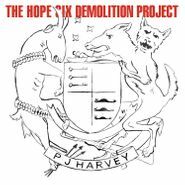 As can attest the muscular guitars that back songs “The Ministry of Defense,” the wailing sax that tears through “The Ministry of Social Affairs,” the rousing choruses her band delivers throughout the album and Harvey’s soulful vocals that close out the album on “Dollar, Dollar,” The Hope Six Demolition Project more than delivers on its premise. 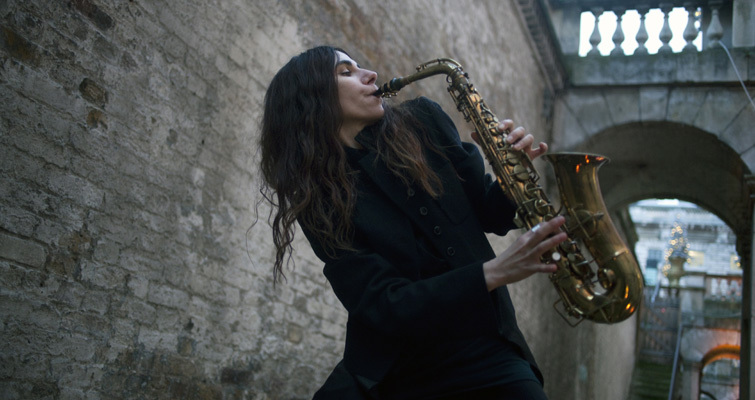 PJ Harvey is set to release her new album, The Hope Six Demolition Project, April 15 via Vagrant. 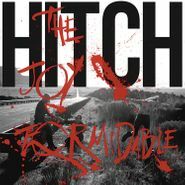 You can preorder it now on LP and CD. 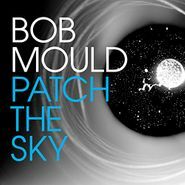 The album was recorded in sessions that were open to the public at the museum Somerset House in London, as Pitchfork has reported. Exhibit attendees could see Harvey creating the album with producers Flood and John Parish through a one-way mirror. They also yielded this amazing photo of Harvey playing the saxophone! I have to admit to being a bit skeptical of the process. Having been a fan for years, I have always loved how meticulously created and recorded her albums are, not least of which was her last album 2011’s Let England Shake, one of the strongest of her career. This approach seemed interesting but bound to distract, no?